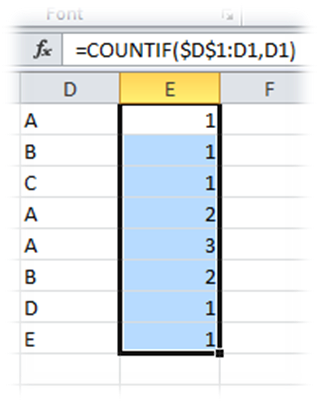 My Small World: Identify duplicate values in a list using "Countif"
Identify duplicate values in a list using "Countif"
Though MS Excel today allows to easily eliminate duplicate values in a list, have you ever tried to identify the number of entries that gets repeated in an excel list? 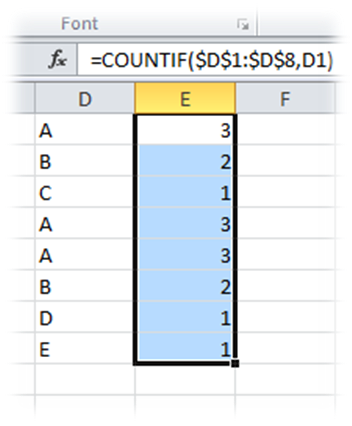 In the above example, we can identify the repeat entries using "COUNTIF" function. The Summit is an educational Institution in Kolkata with a mission – to nurture the talent inside a student and prepare him/her for a bright career. The Summit has an excellent track record – more than 80% students have scored 90% and above in each of ICSE and ISC exams. We have on board a team of highly skilled faculty from reputed schools who tutor the students very carefully. We are the pioneers of the Mock Tests – a simulation of the ICSE / ISC / CBSE exams to hone the skills of the students before they appear for the ultimate. The Summit also offers regular coaching classes for class VI to XII, Crash Courses, Spoken English / Personality Development, JEE, Law Entrance Examination, IAS / IPS / WBCS and French course. 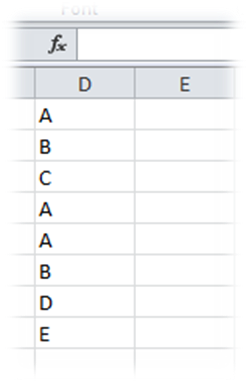 write my essay reviews first time visit here.i found so mmany interesting stuff in your blog especially its discussion..thanks for the post!